Plantsbrook School in the West Midlands has recently piloted a new marking strategy to help ensure that students are given high quality feedback. 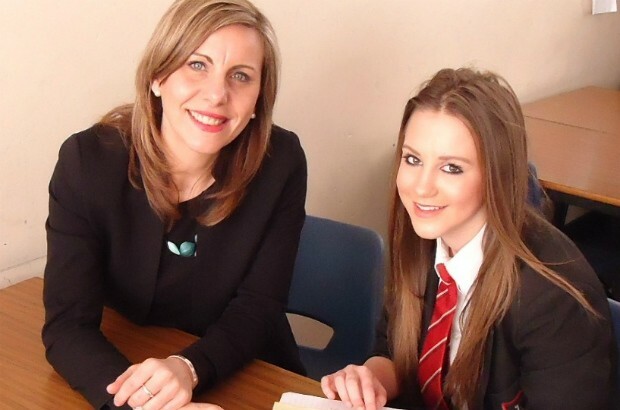 Deputy Headteacher Emma Thom explains how the new strategy is helping support teachers’ work-life balance. At Plantsbrook School we wanted to address a common workload issue for teachers: marking. We wanted to ensure that students are given high quality feedback but not at the expense of teachers' work-life balance. As a result, we dedicated our annual ‘Teaching and Learning Training Day’ at the beginning of this year to discussing time-saving strategies for marking, planning and administration. Following this we introduced new assessment sheets that have success criteria written as questions and trialled these across number of classes. We found that these new marking sheets helped students to better structure their work and hand in good quality work for marking. We also used the same sheets to give feedback with teachers writing a short personalised comment in the allocated feedback box and then using a simple tick approach. This has reduced the time spent repeating comments in multiple books. Another strategy we are trialling is the use of question prompts and glossary sheets for exams and tests. These are given to students once they have answered the questions but prior to handing in their answers. Students write their first draft in black or blue pen and then they look at the prompts and add extra detail in red prior to handing work in. They are also encouraged to check commonly misspelt words using glossaries. Teachers are also encouraged to make more use of verbal feedback. Students identify verbal feedback in their books with a 'VF' code in red pen and then add to or redraft their answers. This reduces the amount of annotations that the teacher has to make and better engages the student in the learning. We have also recently introduced SLT meetings with students who are exceeding or underachieving against their targets to find out from them how they are progressing, making sure the ‘student voice’ is heard. As they bring their books with them we can see the impact feedback has on students and follow this up with teachers. We have seen a significant improvement in the quality of marking across the piloted subjects and some of the staff who have been recognised for exemplary marking practices at the academy have been using the above techniques. The above strategies and what was learned from the pilots have been shared with staff across the academy but we do not insist that they use these strategies or follow one format. Instead, departments are given the freedom to adapt strategies according to what works best for them and their individual subjects and our maths and ICT departments have done just that. To further develop our ideas we have introduced the concept of a Reading Club at our Leadership meetings to help encourage us to take the time out to read and discuss research reports, publications or articles. All of our Leadership Team also make use of Twitter to share ideas, seek the views of our peers and discuss possibilities. We continue to look for ideas to improve marking across the academy working with our Teaching School Alliance to share good practice. We are constantly evaluating our practices and looking for new opportunities to drive the school forward. All well and good for departments to set their own marking policy but could be very confusing from the student perspective, to see different policies across the school?